“Ein einzigartiger Meilenstein in der Filmgeschichte.” Variety – Die Kinder von Golzow von Barbara und Winfried Junge sind die älteste Langzeitbeobachtung des internationalen Films. Als Ron Holloway im Jahre 2009 in KINO – German Film No: 95 über Karl Gass (1917-2009 ) schrieb, konnten wir dazu das oben abgebildete Foto von Karl Gass und Winfried Junge abdrucken. Another feather in Karl Gass’s hat is Die Kinder von Golzow longterm documentary experiment. 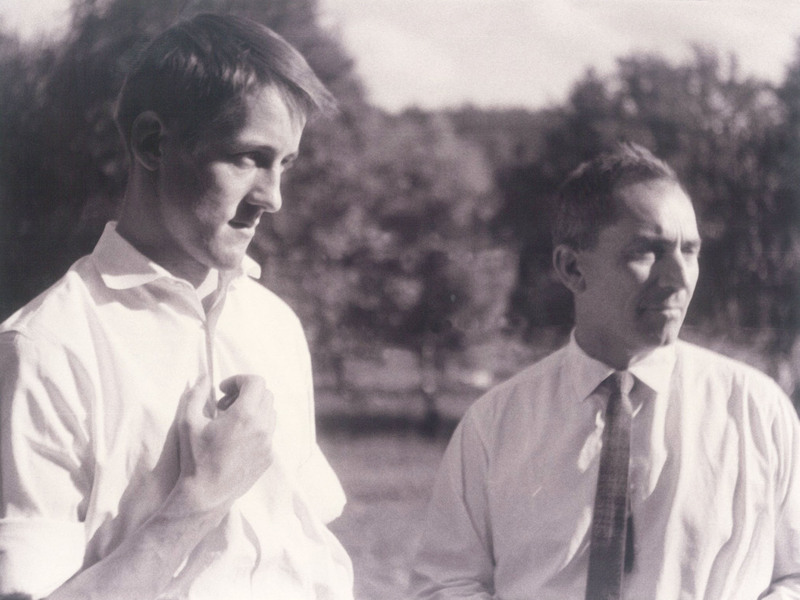 It all began on their first day of school in 1961, when young documentary filmmaker Winfried Junge, a student of Karl Gass, was asked by his mentor to accompany a school class in the town of Golzow near the Polish border. His only instruction was typical: “Take a camera team and accompany the children until their own children are old enough for school”. For the next 46 years, Winfried and Barbara Junge chronicled the life and time of Die Kinder von Golzow – the longest documentary chronicle in the history of the cinema. Der vollständige Filmzyklus (1961-2008) von Die Kinder von Golzow ist auf 18 DVD erhältlich.